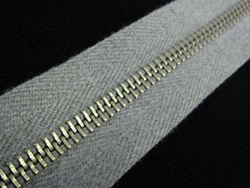 We have created a zipper tape using 100%-cotton top dyed spun yarn Mokuty (GR7). 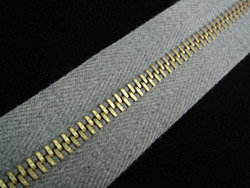 This will bring a sense of oneness with the fabrics more than ever before. ※We can also offer other colors than GR7 by special order, so please contact us for more details. 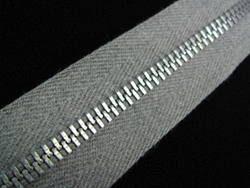 ※The fastness is equivalent to that of a WALDES Zipper design cotton tape.